(Ling) Oh, I'm sorry! I'm not from his country. My money wouldn't be good here. 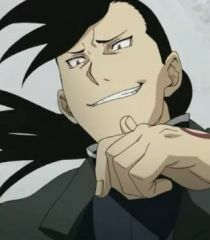 (Greed) Who the f**k is Ling?! The name's Greed, kid.